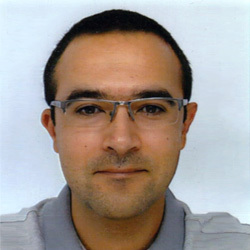 Dr. Hairabian received his Ph.D. in Carbonate Sedimentology and Numerical Modeling of Geological Reservoirs from the University of Aix-Marseille, France, in 2014. Since then, he has worked as a postdoctoral researcher at the Bureau of Economic Geology, Jackson School of Geosciences, University of Texas at Austin, in 2016-2017, and has been involved in various scientific projects including collaborations with archeologists, and as an external consultant for private companies. He has joined the Department of Geosciences at the King Fahd University of Dhahran in January 2019. Carbonate sedimentary systems with special interest for carbonate factories, sediment redistribution processes and stratigraphic architecture of carbonate edifices. Sediment gravity flow processes and products in carbonate systems. Fournier, F., Pellerin, M., Villeuneuve, Q., Teillet, T., Hong, F., Poli, E., Borgomano, J., Léonide, P., Hairabian, A., 2018. The equivalent pore aspect ratio as a tool for pore type prediction in carbonate reservoirs. American Association of Petroleum Geologists Bulletin, 102, 1343-1377. Morsilli, M., Hairabian A., Borgomano J., Nardon S., Adams E., Bracco Gartner G., 2017. The Apulia Carbonate Platform – Gargano Promontory, Italy (Upper Jurassic to Eocene). American Association of Petroleum Geologists Bulletin, 101, 523-531. Hairabian A., Borgomano J., Masse, J.-P., Nardon S., 2015. 3-D stratigraphic architecture, sedimentary processes and controlling factors of Cretaceous deep-water resedimented carbonate systems (Gargano Promontory, SE Italy). Sedimentary Geology, 317, 116-136. Hairabian A., Fournier F., Borgomano J., Nardon S., 2014. Depositional facies, pore types and elastic properties of deep-water gravity flow carbonates (Upper Cretaceous, Gargano Peninsula, SE Italy). Journal of Petroleum Geology, 37, 3, 231-250. Bulot L., Latil J.-L., Hairabian A., Fournillon A., 2014. New insight on the genus Nolaniceras Casey, 1961 (Ammonoidea, Cretaceous) and its consequences on the biostratigraphy of the Aptian Stage. Proceedings of the Geologists’ Association, 125, 227-232.